I’ve lately been spending a good deal of time with Gwen Verdon. Not literally, of course; sad to say, the legendary star left us nearly eighteen years ago. But through two different media, Gwen Verdon is getting the chance to return into our hearts and minds — or be introduced to them. For decades, we’ve been able to hear her on Masterworks Broadway’s original cast albums of Damn Yankees, New Girl in Town and Redhead – each of which earned her a Tony Award as Best Leading Actress in a Musical – as well as Sweet Charity and Chicago, which garnered her Best Leading Actress in a Musical Tony nominations. But black-and-white and even color pictures are merely worth thousands of words. 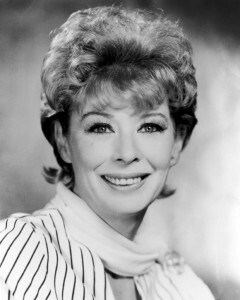 And because Verdon only starred in one movie musical – Damn Yankees – we don’t get many chances to see her in her prime. That’s where Gwen Verdon: Merely Marvelous comes in. It’s a documentary that executive producer Dennis Fill – as well as co-writers-producers-directors Ken Bloom and Chris Johnson – are preparing. They’ve tracked down footage from vintage TV variety shows, Tony broadcasts and films in which Verdon appeared. “I’m a Brass Band,” the song that was hastily added to Sweet Charity during the Detroit tryout — although it certainly doesn’t look it – is there, as is a clip or two from every musical she did starting with Can-Can and including home movies from Chicago. Last month I attended a preview of what’s planned as a one-hour documentary to show newbies and remind old-timers just how marvelous Verdon really was. So why say “merely marvelous”? In Redhead, Verdon sang a song called “I Feel Merely Marvelous” so the three filmmakers obviously mean it in semi-ironic fashion; there was nothing “merely” about Verdon’s stage presence and personality. Speaking of marvelous, Kevin Winkler’s new biography of Bob Fosse certainly is, but he might have considered adding a letter to its title. Instead of Big Deal, how about Big Deals? For needless to say, Gwen Verdon was intertwined with Bob Fosse both professionally and personally for a good deal of his life. In fact, of the 275 pages of text in Winkler’s book (not counting seventy-five more of notes and an index), Verdon appears on eighty-six of them. Who would have thought it possible considering that Gwyneth Evelyn Verdon had rickets as a child? Winkler reports that she was disparagingly called “Boots” Verdon by her classmates because she had to wear that clunky footwear (and thighwear and calfwear) during her early school years. Mrs. Verdon thought that dance lessons would help as much as any other treatment. Mother knew best: young Gwen wound up studying with many teachers – including Marge Champion’s father. Still, no one would have predicted that the afflicted lass would become Broadway’s premier dancer, especially after she married at seventeen and gave birth a year later. Verdon’s followed her nine months of pregnancy by leaving her inattentive husband nine months later. She then became a journalist who was assigned to write about Jack Cole’s dance company. She was so moved by what she saw that she went backstage and asked to audition. Verdon came east with Cole in 1947 to do the Comden and Green musical Bonanza Bound, which closed after a week in Philadelphia. Both went back to Hollywood where he did the choreography for the 1952 remake of The Merry Widow and stuck Verdon in a rather irrelevant can-can. It hardly proved immaterial to Verdon. Michael Kidd, preparing to do the dances for Cole Porter’s next Broadway musical Can-Can, saw the picture and cast her. Once again Verdon had trouble in Philly – but of a far different kind. Leading lady Lilo (that’s her whole stage name) was jealous of Verdon stealing the show from her and insisted that her part be lessened. It was Verdon vs. Villain, but as anyone who knows anything about musical theater already knows, opening night meant a knockout for Verdon and a split decision for Lilo. From then on, with the exception of Redhead, Verdon would be considered, as Winkler accurately describes her, “a sexpot with a sense of humor.” Needless to say, Fosse had a great deal to do with that – but Winkler surprises us by revealing that the two were initially reluctant to work together. Only after Fosse showed her what he had in mind for his Damn Yankees showstopper – “Whatever Lola Wants,” doing every step that she would do on stage — was she convinced; he was heartened by her reaction, and a team was born professionally in 1955 and cemented personally in 1960. They stayed together until Fosse’s all-too-sudden and all-too-untimely death thirty-two years later. He needed her as much as she needed him. Winkler reports that when Fosse was having trouble finding a way to stage a number in Sweet Charity, Verdon “chased him out of a room with a chair, like a lion tamer, telling him to do anything to get the number started and then refine it later.” “Big Spender” was the result. After the Feb. 5, 1977 performance of Chicago, Broadway would never again see Gwen Verdon perform, although her expertise contributed to a few shows. For the 1986 revival of Sweet Charity, she was billed as “Assistant to Mr. Fosse.” Assistant! That’s among the lowest of the low in theatrical parlance. But it was good enough for Gwen Verdon, because all she wanted was to be next to her husband although he’d replaced her in his bed. You’d think that such a situation would be the wedge that would irrevocably come between them – not that his philandering hadn’t happened before and throughout their marriage. McCracken, incidentally, was the legendary dancer in Oklahoma! whom Fosse had married and then left for Verdon. How often does a subsequent wife praise her predecessor as being the more significant in her husband’s life? All too true, but there was still a good deal of Bob Fosse left – which we’ll discuss next week as well. Peter Filichia also writes a column each Monday at www.broadwayselect.com and each Friday at www.mtishows.com. His book The Great Parade: Broadway’s Astonishing, Never-To-Be Forgotten 1963-1964 Season is now available at www.amazon.com.